What makes you laugh? 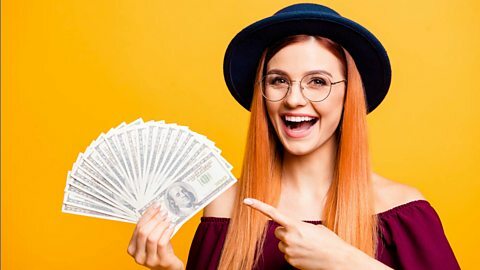 Does earning lots of money very easily bring a smile to your face? Well, it certainly has for Rob. Find out a funny English phrase that describes his situation in this episode of The English We Speak. No, Feifei – the price of the shares has risen and I've doubled my money. I'm laughing all the way to the bank! For the first time in my life I'm rich! Calm down, Rob! I think you'd get some strange looks if you went to the bank laughing – the bank has all your money - there's nothing to laugh about. Seriously, Feifei! If I 'laugh all the way to the bank', it just means I have made lots of money very easily. Let's hear some more examples. 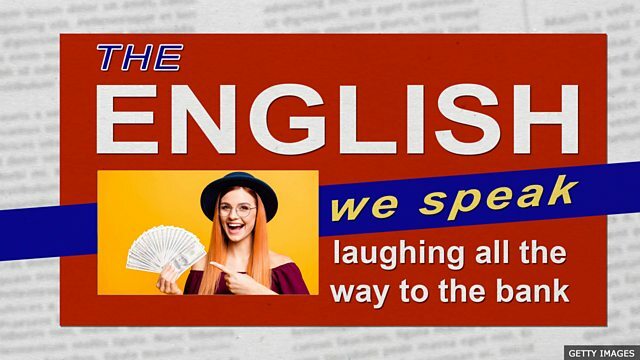 This is The English We Speak from BBC Learning English and we're looking at the funny phrase 'laughing all the way to the bank', which means 'to make lots of money very easily'. But, Rob, buying shares is no laughing matter. Shares can go down in value as well as up – and I've just read that because someone got food poisoning at one of those burger restaurants, the share price has gone down. Cry all the way to the bank? Yes, I think you can – and I'm going to do that right now. I need to borrow some money. Bye.